There was another high roller event on the schedule today at the 2019 PCA and it came in the form of the $25,000 Single-Day High Roller II. After nearly 11 hours at the felt, Justin Bonomo claimed the title and the $383,650 first-place prize when he defeated Jesus Cortes in heads-up action. The year is starting to look a lot like the previous edition in 2018 when Bonomo ran over the poker world to top the career money list. 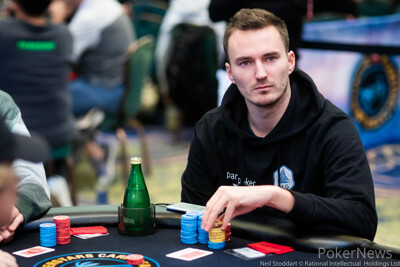 After a couple of fourth place finishes in the $10,000 High Roller and the $50,000 Super High Roller yesterday, this will go down as his third cash here at the 2019 PCA. With one more $25,000 event still to come, the American poker pro will be looking to add some more cash to his pocket before he leaves the Bahamas. It also wasn't a bad day for Jose Cortes who is coming off his largest career cash in the $100,000 Super High Roller. Cortes has re-emerged on the live poker scene in the Bahamas and is showing that he still has what it takes. Adding another $265,200 to his pockets for his efforts today will leave him walking away with a smile. The day surprisingly got started on time when eight players took their seats just after the scheduled 3:00 p.m. start. 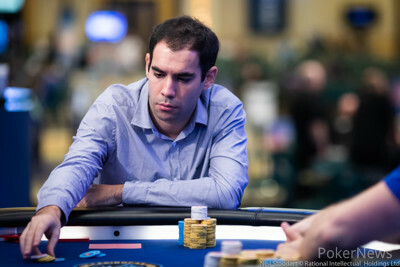 Each player started with 100,000 chips and it was actually Cortes who was the first elimination during the opening level. With a single re-entry allowed, Cortes was able to jump back into the action and made great use of his second bullet. The tournament attracted a total of 47 entries that made up a prizepool of over $1.1 million. Many players fired off two entries by the time late registration closed after the second break, but the eliminations were fast and furious throughout the entire day. It only took another four levels after late registration closed to reach the unofficial final table of nine. Pablo Cabrera, Henrik Hecklen, and Mikita Badziakouski all hit the rail before the money bubble would burst. Once Badziakouski was eliminated on his four big blind stack, the final six players were all guaranteed at least $79,000, more than three times their buy-in. Six-handed play continued for over an hour until David Peters collided with Bonomo blind versus blind. Peters shipped just over ten big blinds with seven-five suited and Bonomo snapped him off with pocket sixes. The board missed Peters completely and he headed to the payout desk in sixth place. Just a couple of hands later, Nick Petrangelo flopped a pair and got it all in against Steffen Sontheimer's two over cards. Both the turn and river hit Sontheimer and Petrangelo exited in fifth place. After a quick break, Igor Kurganov was unable to keep up his early run of success going when again, blind versus blind, the PokerStars Pro moved all in from the small blind with ace-eight and was called by Bonomo's king-ten suited. Bonomo turned a ten and Kurganov was forced to settle for a fourth-place finish. Three-handed play had its fair share of twists and turns and Sontheimer rode the waves of tournament poker with multiple double ups going in his favor and against him. Unfortunately, in the end, he found himself on the wrong side when Cortes spiked a three-outer on the turn to eliminate the German high-stakes player. That left Cortes and Bonomo to battle heads-up in what started out to be an even matchup. However, Bonomo took a sizeable lead after Cortes paid off a large turn and river bet. Cortes battled back with a double up of his own and after briefly taking the chip lead, the pendulum swung in the other direction again. Both players were dealt a pocket pair, Bonomo's being the larger, and got all of the chips in the middle preflop. Bonomo held on for a massive double up and left Cortes with just 10 big blinds. Although Cortes doubled up once, in the last hand of the night, the Spaniard shipped all in after Bonomo limped the button. Bonomo woke up with the same pocket sixes as earlier and Cortes was drawing slim with queen-five. The board ran out clean for Bonomo and his pocket pair held on to earn him the victory. That wraps up another single-day high roller with tons of money being dished out here at the Atlantis Resort, but there is still more to come. Stay with us as PokerNews continues to bring you coverage of the Main Event along with another $25,000 high roller that begins tomorrow. Justin Bonomo limped in on the button and Jesus Cortes moved all in for 1,130,000 from the big blind. Bonomo instantly called and the cards were tabled with Bonomo in great shape. The flop came and Bonomo was still out front with his pocket sixes. The on the turn left Cortes drawing to just three outs and the on the river was not one of them. Cortes was eliminated in second place and Bonomo was crowned the champion of another high roller event. Just shortly after Jesus Cortes took over the chip lead, he raised to 160,000 on the button. Justin Bonomo three-bet to 550,000 and Cortes ripped all in. Bonomo called and was at risk for 2,025,000. 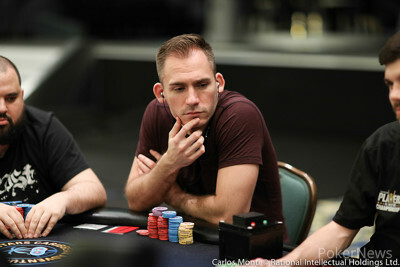 Bonomo had a strong lead with the larger of the two pairs and held on throughout the board of to take a commanding lead in this heads-up battle. With around 380,000 in the middle already, the flop read . Justin Bonomo checked to Jesus Cortes who bet 175,000. 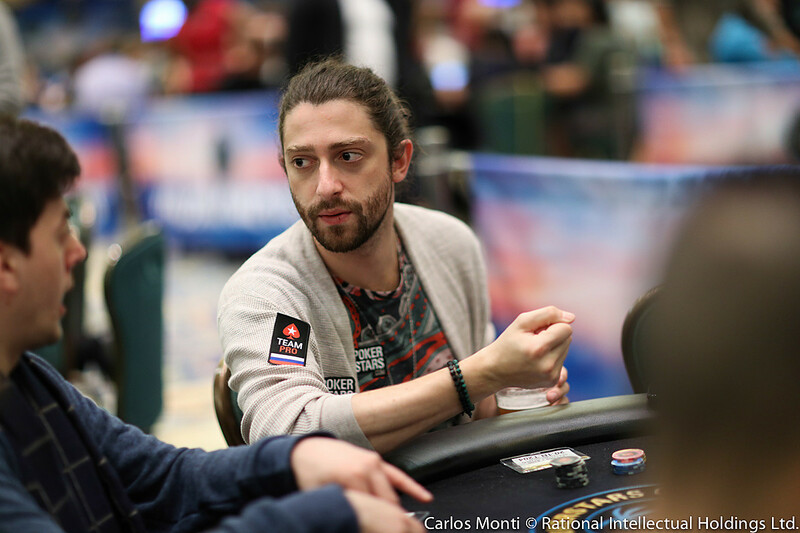 Bonomo check-raised all in and Cortes quickly made the call for his stack of 840,000. Cortes was out front with a pair of sixes and the on the turn nor the on the river was able to improve Bonomo. Justin Bonomo limped in on the button and Jesus Cortes raised to 225,000 in the big blind. Bonomo called and the dealer spread the flop of . Both players checked and the landed on the turn. Cortes checked again and Bonomo tossed in a bet of 350,000. Cortes called and the paired the board on the river. Cortes checked one more time and Bonomo announced a bet of 900,000. Cortes flicked in a chip and Bonomo tabled for the best hand. Steffen Sontheimer raised to 300,000 on the button and Jesus Cortes announced all in from the big blind. Sontheimer quickly called for roughly another 350,000. Sontheimer held a dominating lead and the flop of changed nothing. However, the on the turn was one of Cortes' three outs and the completed the board. Sontheimer headed to the payout desk in third place, leaving Cortes to battle with Justin Bonomo in an even matchup. Steffen Sontheimer ripped all in from the small blind and Justin Bonomo made a quick call from the big blind. It was Bonomo at risk for 1,105,000 but he held the better hand. The board ran out and Sontheimer was back to around six big blinds. Jesus Cortes announced all in on the button, having both of his opponents covered. Steffen Sontheimer stuck in the last of his 595,000 from the small blind and Justin Bonomo folded his big blind. The flop came to give Sontheimer a strong lead with a pair of aces. The on the turn provided a sweat but the on the river ensured Sontheimer of a double up.